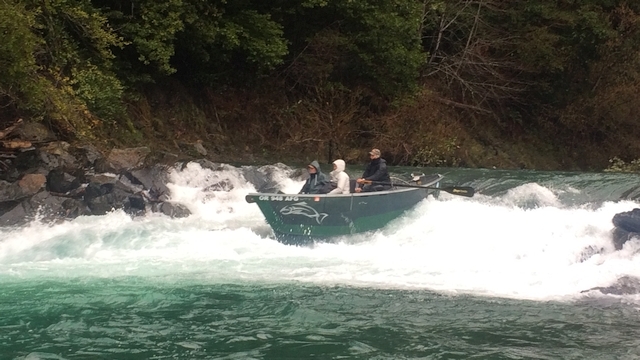 The legendary salmon and steelhead runs on the Rogue River draw anglers from throughout the country. From the trophy salmon in the Rogue Bay to tasty springers to hard-fighting summer and winter steelhead, the Rogue is worthy of its reputation of being one of the West's premier places to fish. 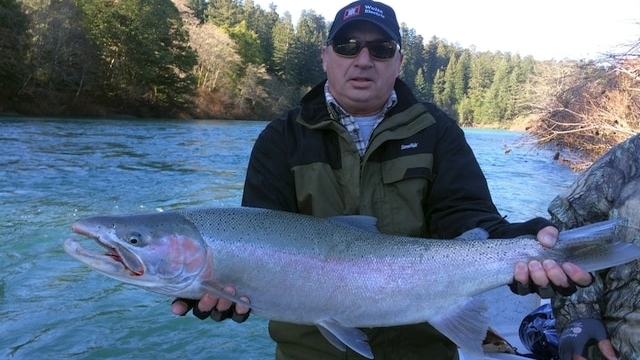 Home of the world record fly-caught salmon, a monster 70-plus-pound Chinook, and one of the most plentiful winter steelhead runs in the state, fishing is good on the Rogue year round. 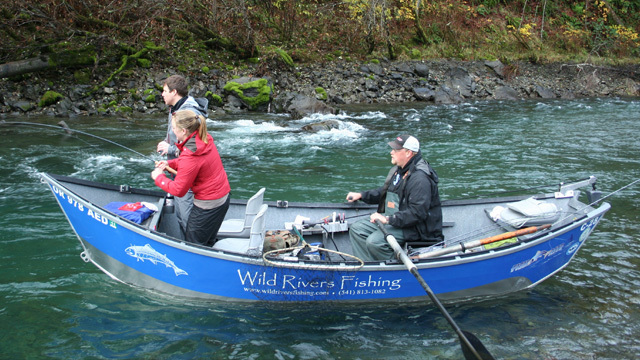 Guide Andy Martin of Wild Rivers Fishing has been fishing the Rogue his entire life. 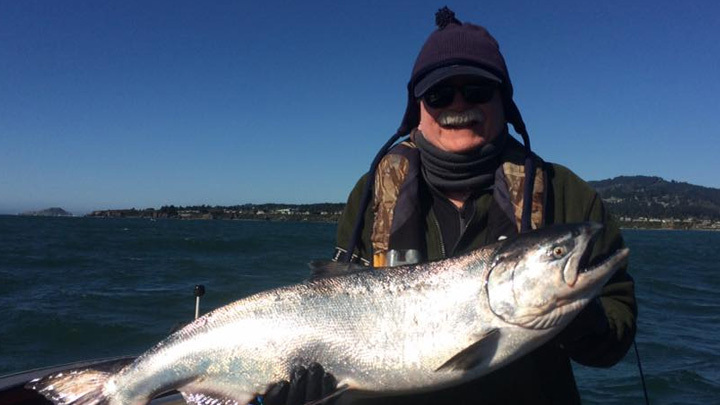 A native of the area, he learned at an early age how to troll the Rogue Bay, anchor fish for spring salmon, and fish for the famed half-pounder steelhead near Agness. 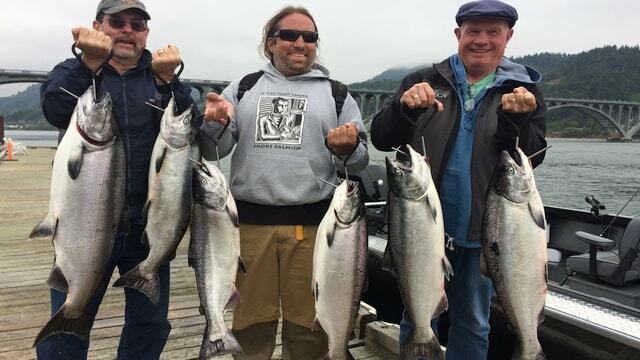 The Rogue Bay, where big fall Chinook stack up in the cooler water near the river's mouth before heading upstream in late summer and early fall, is one of pro guide Andy Martin's favorite fisheries. Trolling from jet sleds, anglers catch salmon up to 60 pounds, often within sight of the Highway 101 bridge in Gold Beach. Aside from big Chinook salmon, the Rogue also receives a healthy run of coho salmon. 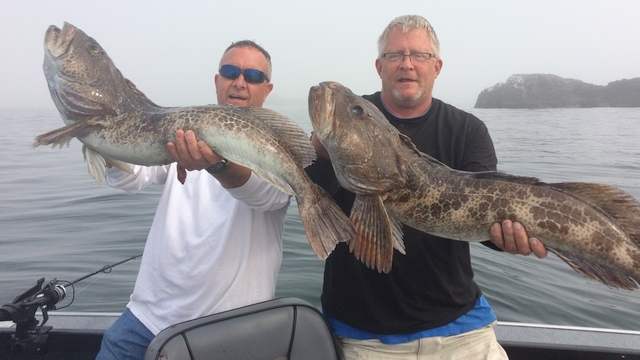 Andy targets these fish in September and October, when the fall run is at its peak. This is when the biggest kings of the year are caught. The fall Chinook run on the Rogue is often around 50,000 fish each year, one of the largest salmon runs on the West Coast. The average size also is impressive. The salmon average over 25 pounds, with lots of 40-pounders caught each year, along with some over 50. The Rogue also has a reputation for at times producing wide-open bites. When the action is hot, dozens of boats may hook up in a short period of time. The lower Rogue is home of the extremely effective Rogue Bait Rig, a combination of an anchovy and spinner blade that tricks thousands of king salmon into biting every year. The Rogue Bay’s salmon are chrome bright and great-tasting, and the action rivals that of peak-season ocean fisheries. But the bay’s waters are calm and protected, so sea sickness is not a problem.